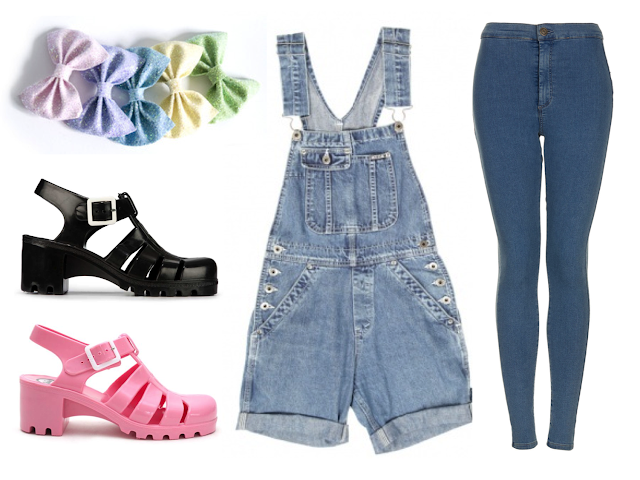 Need to get myself some jellies and dungarees! Those sandals are perfect!! And really, who doesn't love some hair bows?